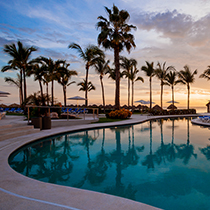 We’re a company committed to create authentic destination and entertainment experiences; At RCD Hotels we have properties in Mexico and Dominican Republic’s top destinations, and over 4,000 rooms. We’re the product of constant innovation and improvement which has led us to our client’s prestige and recognition. This is your chance to join a group of team members that make creating experiences, their passion. We’re looking for people like you, who provide greater value and expertise – for us this is not just a job, it’s our way of life. Follow us on LinkedIn and learn about our current job offerings!